As someone who suffers with lips prone to extreme dryness even in a hot and humid country, to the point that I get 'patches' of dry skin on them, I always need to keep them moisturized. I apply lip balm before applying any other lip product and I use lip balm again just before going to bed. I also make sure to use a lip scrub every few days to exfoliate them! As you'd expect, I'm quite addicted to lip balms of any sort. I actually tend to steer away from lipstick because I find that a lot make my already dry lips appear even drier, especially if I don't prep them well before application, so I tend to stick with long-lasting stains and glosses. I only really whip out my lipsticks for more formal events! 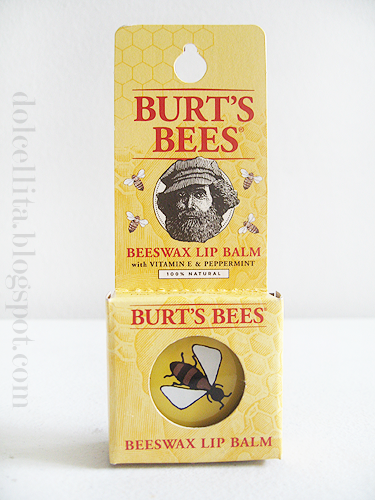 Recently I've been looking for just a regular, no frills, good quality lip balm and decided to try out Beeswax Lip Balm from Burt's Bees! This is actually my first Burt's Bees purchase, but I've been hearing so many good things about the brand for years now, and they're also known for their earth-friendly and natural products. From their website, they state that their products are "carefully crafted using ingredients that are the best nature has to offer: beeswax, botanical and essential oils, herbs, flowers and minerals." 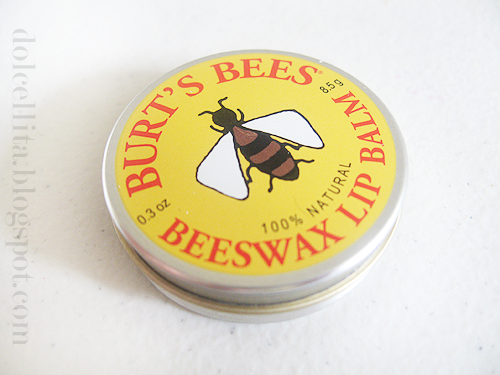 The Beeswax Lip Balm, according to the saleslady I asked at Beauty Bar where I purchased it, is their original and classic lip balm formula. So what does the product claim? The product itself comes in a small, tin can that makes it great for bringing it with you anywhere like I'll need to do. I can actually just slip it into my pocket because of how tiny it is! I like the simple design and look of it as well. Opening the can was a bit tricky for me initially! I tried popping it open with my nail and just pulling it off until I found out the secret was just to get a good grip on the bottom and twist the top lid off. It didn't work for me at first since the can kept 'sliding' too easily around my fingers. 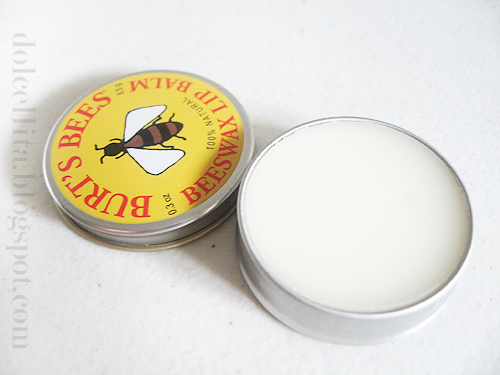 The balm is solid and has a faint, but distinct peppermint scent. Upon applying it doesn't feel like you actually put any of the product on until you start to feel a cool and tingling sensation on your lips. That's the peppermint at work! I apply a few good swipes on my top and bottom lip and really make sure to get as much product on my finger as I can, rubbing in a little specifically on any dry patches which instantly makes them softer and less noticeable! agree! I’ve been using this for 3 months now and the jar isn’t even half yet.